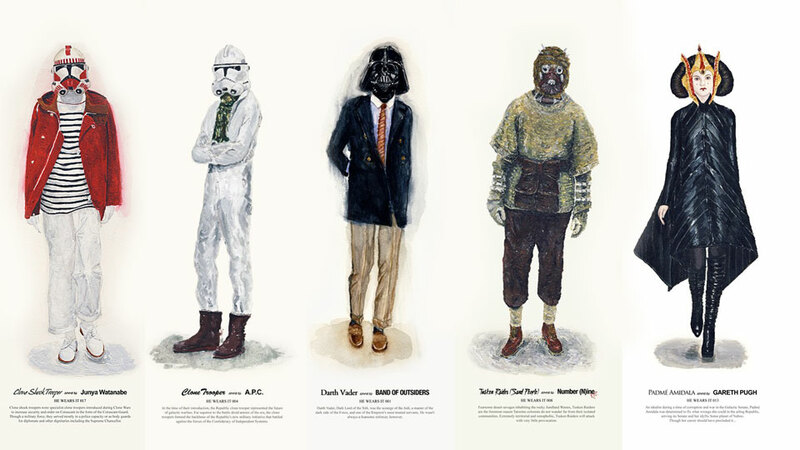 Artist John Woo throws together two very unlikely things - high fashion and the characters of Star Wars - in his "He Wears It" series of prints and images. Don't let the name fool you, there are ladies as well. And some characters from outside the Star Wars universe, like the T-1000. But mostly, it's people like Darth Vader and Chewbacca, wearing things like 3/4-length pants and fancy boots. And looking to die for in the process. Why do hipsters have to ruin everything? Is Luke Plunkett the new Bashcraft? Every post is just relinked, very old news that made the rounds at Rampaged Reality, Slashfilm etc half a year ago. The guide to dressing like a douche a long time ago in a galaxy far away? holy crap are you now afraid I could take your job?